Very interesting and positive view of the future. 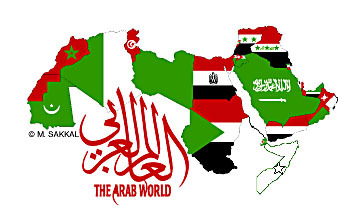 If what you say is true then i’m really looking forward for this new Arab world. I haven’t started my own business yet, cuz this is my last year at AUB, but for next year (ie after graduation), i am considering the option of building a start-up since for me to do what i really love, i’ll have to travel to Europe or US! Well you can simply start introducing yourselves and your services to incubators and venture capitalists in the region. Thinking positively, some of these themes may play out. Regional variations will matter. Thinking realistically, probably looking at uphill climb and requires a long term outlook 10+ years. Requires a certain mind set in the social fabric. Not sure if its there yet but they must try. Will take some time. I strongly believe that youth of the Arab world got what it takes to make the leap forward. Shukran Afif. I live and work in the Middle East and my observations are aligned (except I prefer the term ‘Arab Renaissance’). Your observation that people want good governance is the key (as opposed to the western view ‘requiring’ democracy). The Arab countries have the opportunity to develop their own solutions to suit their own needs in a modern world where the internet connected populace can keep any government honest. As you point out, the needs are real and goal is achievable. Well Renaissance sounds like a good term as well…i’d like to know more about why you chose it. Glad to get your feedback and I do agree with you. In this context, alot of action is being done already to promote entrepreneurship in Lebanon and match them with investors, venture capitalists and more. In my opinion what Youth needs now is a Well Defined Development Plan with Strong Leadership to guide this young population. There will be lot of opportunities and with the kind of talent available in the region there is No doubt that the world will look at this region along with the emerging countries for the solution to the current Economic Crisis. But with this in mind, I would again like to stress the importance of clear development plan and support. Thanks a lot for such insightful article. Nice site Mr. Tabsh. Good luck with your plans. They rock! Jim Rohn said once: “Opportunities mixed with difficulties”, and I guess that’s the main point in the above article. History has shown that chaos and regional conflicts are the major key to development, Where trends takes its place as you mentioned in the next 10 years. web page, and I just had to leave a note here.